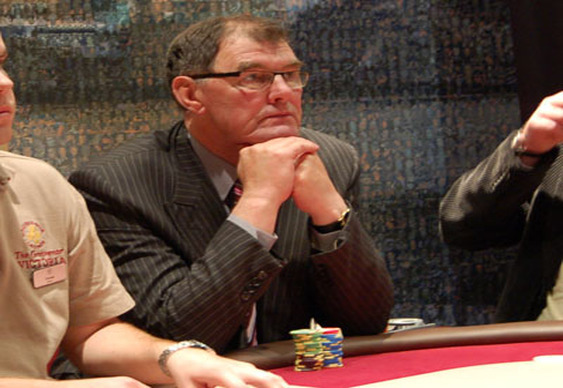 One of the most popular and colourful characters on the European poker circuit, Liam Flood, has died at the age of 71. The Irishman was a regular in tournaments throughout the UK and Ireland and became a familiar face to TV viewers after appearing in a host of televised events including Late Night Poker. The part-time bookmaker had career earnings of over $1.1m with a best score of $175,000 in 2007's Poker Million. He also won the Irish Open in 1990 and 1996. Others took to Twitter to offer their condolences. "Gentleman" Liam Flood, a hero of the old Late Night Poker days, has died aged 71. May his twinkling, sporting spirit live on in the game. Liam was such a gentle man in both senses. Always very kind to me and made me laugh. Will miss talking horses and poker with him. RIP.